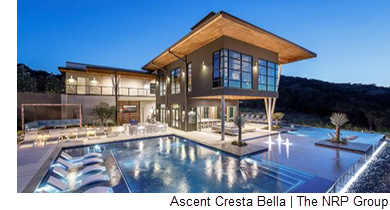 ​​​ ​SAN ANTONIO – The 322-unit Ascent Cresta Bella in Northwest San Antonio has been sold to a pair of investors including New York-based KKR & Co. Inc. and Tennessee-based Carter-Haston. The property is at 19702 Bella Loma Dr. just south of The Dominion. It consists of one-, two-, and three-bedroom units averaging 1,031 sf. The NRP Group, which finished construction on the complex in 2017, was the seller. ​Check ou​t San Antonio-New Braunfels Multifamily Market Research​.